If you are wondering if you are meeting the needs of your attendees when it comes to #eventtech, a recent survey provides the answers in the article: What Do Event Attendees Want Most? Wi-Fi cost seems to be decreasing while speed and reliability are increasing. Venues continue to invest in the hardware required to provide the necessary bandwidth to meet attendee’s expectation. You can cost effectively supplement your venue Wi-Fi by bringing your own hotspots to the event. This is a great way to provide additional Wi-Fi in critical areas such as registration or the IT support desk. A wide variety of charging stations is available so your attendees should never run out of power. 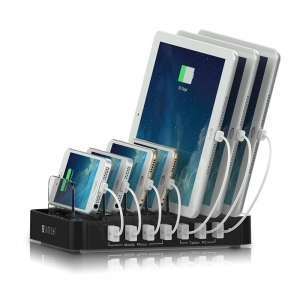 Charging stations are an ideal opportunity to generate additional sponsor revenue. You can place posters and banners on the charging station to reinforce the sponsor’s branding or display the booth location. You can even combine mobile device charging stations with location-based notifications for the biggest impact. Learn more about mobile charging stations at events. 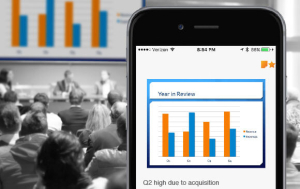 With the EventPilot conference app Slide Viewer, it’s easy to provide presentation slides to your attendees. Before, during, or after the event, simply upload the .ppt files to the EventPilot CMS. The files are converted into a mobile optimized format to minimize Wi-Fi bandwidth. Download on demand ensures that slides are accessible offline. Presentations can be displayed in the session detail view, associated to speakers, or even to exhibitors. Best of all, attendees can take notes directly on the slides. Ideas, quotes, and comments remain in context and are included in an email report after your event.